Many may not know, but diesel engine oil has an interesting origin. Prior to the breakthrough of the diesel engine and long before it was coined as ‘diesel fuel’, the heavy oil is referred to as ‘distillate’ — a byproduct of petroleum refining that is normally thrown away during the process. Tables have turned, however when Rudolf Diesel patented the compression-ignition in 1892, namely the diesel engine. Part of the regular maintenance of the diesel engine involves changing the lubricating oil to keep the engine parts running smoothly while maximizing peak performance. The best engine oil matched for that — is the petroleum fraction that was once ignored and considered rubbish — the diesel engine oil! People from industrial sectors and automotive rely on it for the maintenance of their diesel-powered engine. If you are one of those peeps, you came to the right place. 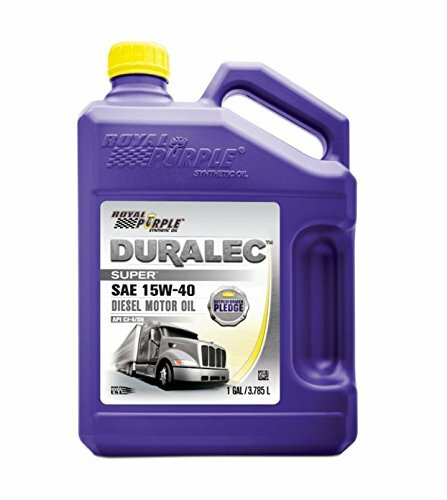 In this article, you will learn your best options for diesel engine oil. In addition, we’ll also provide you with pointers on what to look for when purchasing. Keep reading to find out more! What exactly is a diesel engine oil and how does it work? Beginners Guide: Diesel oil, lube oil, and gasoline oil — what’s the difference? Brands of diesel oil can have different viscosity grades and additive formulation which makes them unique from one another. In addition, major oil companies keep on reformulating if not making a new formula of engine oils on their line, contributing to the pile of different engine oil products in the market. Taking all of these into account, it can be somewhat challenging to choose the best ideal oil. To further help you sort through different brands and formulation, we have made a review of the top-rated engine oil — old and latest formulation — to keep you updated with the selection of the best diesel engine oil at the moment. Castrol is a name synonymous to quality and high-performance. If you are after their latest wear protection for your modern engine, look no further than Turbo Diesel Engine Oil 5W-30, coming from their collection of advanced engine oil formulation which is designed to sustain performance with extreme heat pressure. It’s backed up with titanium fluid strength, a technology that Castrol has been working on for 7 years. This liquid engineering guarantees a protective film that prevents oil from breaking down amidst lower viscosity, reduce friction by 15 percent, and a less metal to metal contact by 45 percent given any driving speed. Moreover, extensive testing has also proven that the titanium addition was able to maintain film strength for more than 140 hours longer than Castrol oils without titanium. Another of its notable feature is its ability to reduce deposits that contribute to its optimum engine response. 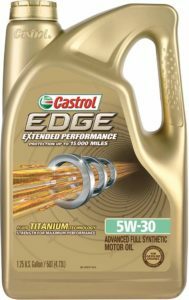 Castrol EDGE Extended Performance 5W-30 works great on supercharged or high performing engines and aspirated diesel cars and light vans. The oil has been tested and proven to deliver outstanding strength and ensures a quality wear protection of all engine components. 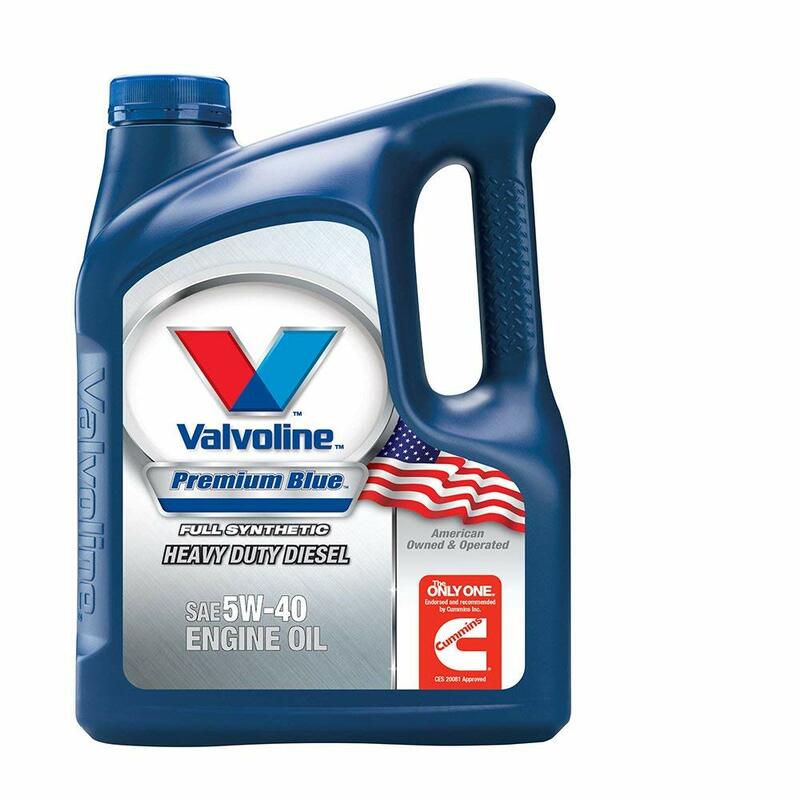 To start off, Valvoline 5W-40 is recommended by a number of America’s leading engine manufacturers and dealership including Caterpillar, Navistar, Detroit Diesel, Mark and Volvo, and the only motor oil trusted and recommended by Cummins. Cummins particularly recommend it for the use with their Dodge Ram Turbo Diesel Engine, which means this full synthetic diesel oil works well with heavy duty pick-up truck and other Class 8 trucks as well with modern and emission treatment engineered engines. It has also met the requirements of Exhaust Gas Circulation (EGR) and Diesel Particulate Filter (DPF) systems when exposed under standard and extended service standard. In fact, further testing on Cummins X15 engines results to a 10,000-mile drain extension, yielding 60,000 miles when subject to the usual 6.5 miles per gallon or higher. All of these comes as a no surprise when you are to consider the Valvoline’s Premium Blue Extreme formulation. Patented in their Dispersive Polymer Technology is a proprietary blend of additives that functions to protect engine components against wear, piston deposits, ring wear, filter plugging, liner polishing, and soot-related valve train. And whether you live on hot or cold climate environments, the superior synthetic base stocks provide a faster and engine response, thanks to its premiıum quality base stocks. More to its properties is a high Total Base Number (TBN) which neutralizes acidic materials, combustion by-products and other contaminants and in return, it increases the efficiency and the performance of the oil even more. Perhaps, this motor oil’s best selling point is its versatility; it works both on diesel and gasoline engines plus compatible with synthetic and conventional motor oils including fuel that is ethanol-based. Another of its advantage is its high film strength which is 2 to 3 times stronger than other full synthetic oil out in the market, a claim that has been backed up by several independent testings. This full synthetic diesel oil prevents metal-to-metal contact, owing to the proprietary additive technology, one of which includes a ZDDP that acts as a high performing anti-wear in addition to prolonging emission catalyst system life. In fact, this critical lubrication performance meets both dexos1 and ILSAC GF-5 standards. More to the additive technology is its ability to provide superior cleaning. No rust nor sludge was observed during a standard industry testing. The product also works on high mileage. Just make sure to not exceed two short intervals before oil change. This will expedite the high solvency of this multi-viscosity oil, yielding to a great removal of existing deposits. This heavy-duty engine oil is an enhancement of the original Shell Rotella T4. Not that the original formula needed an improvement, but the reformulation includes an upgrade on Triple Protection Technology to keep up with the ever-changing driving condition and engine requirements found in modern low-emission and old working diesel engines. If you have bought the original formulation in the past, you may be familiar with how the protection and additive technology functions to protect the engine from wear, deposits, and emission systems. You can still have the same reliable protection that you’d come to expect from Shell Rotella 15W-40, except that the wear protection is now increased up to 50 percent — exceeding CK-4 specifications by API. Also, the T4 technology wouldn’t be dubbed as the ‘next evolution of hardworking protection’ without its new attribute. This is the ability of the oil to resist to break down when subjected to high temperatures and stress. Independent testing has proven the oil’s resistance to oxidation up to 50 percent which translates to an increase in mileage and maximum engine operation. 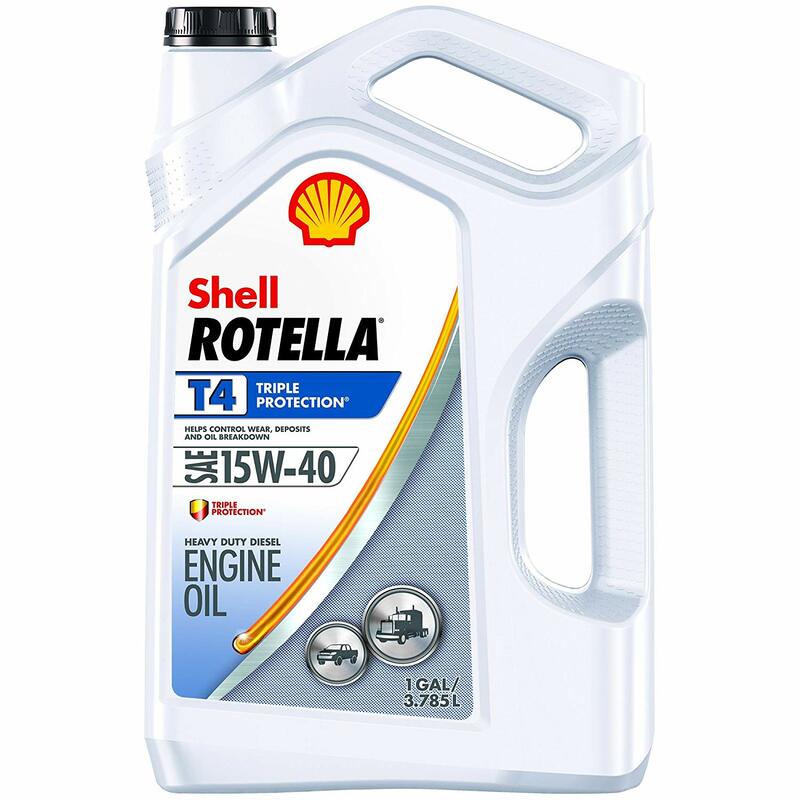 Shell Rotella T4 Triple Protection 15W-40 fits a wide range of heavy duty engine including high-power vehicles and diesel-powered pickup trucks. Its well-rounded specifications have gained approval from many leading motor and engine companies. This synthetic motor oil passed the 0w rating, which means that you can rely on its cold ranking capabilities at any rate. In fact, the oil sustains its thin viscosity even when cranked up in a cold starting temperature as low as -40° F, delivering fast engine protection even in hard to reach gaps. On the other hand, the 40 summertime grade rating has proven to withstand high temperatures as high as 500° F. Additionally, the low viscosity works to control oil oxidation and deposits caused by high temperature. This just proves that this multigrade oil can give your engine a rapid protection even under extreme weather conditions. Mobil 1 120760 Synthetic Motor Oil 0W-40 is also a hardworking cleaner. 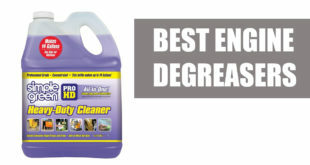 It renders an excellent cleaning power, so much so that it even strips out a heavy buildup of sludge from previous oils. This doesn’t only increase fuel efficiency and wear but also prolongs engine life, all while reducing oil consumption and sustaining power. Like any other high-performing quality oil, the advanced full synthetic formula has gained approval from dexos. Moreover, it has also met some of the toughest Original Equipment Manufacturer’s (OEM) worldwide standards including Japanese and European car builders. In fact, Mobil 1 is the leading choice and most recommended brand by folks at the National Association for Stock Car Auto Racing (NASCAR). 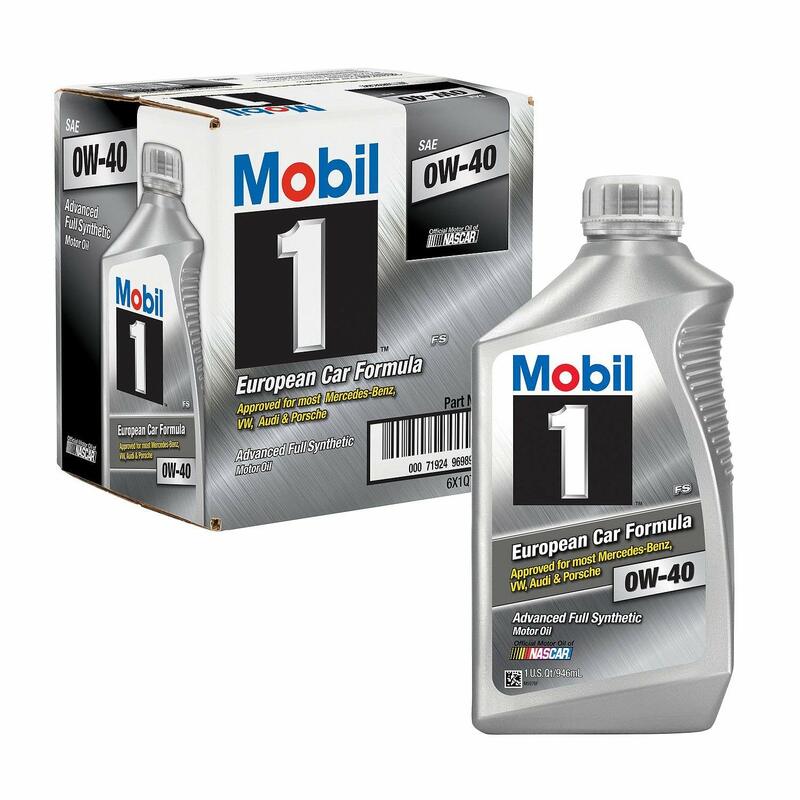 Even better, Mobil 1’s OW-40 is engineered to work on both diesel and gasoline. 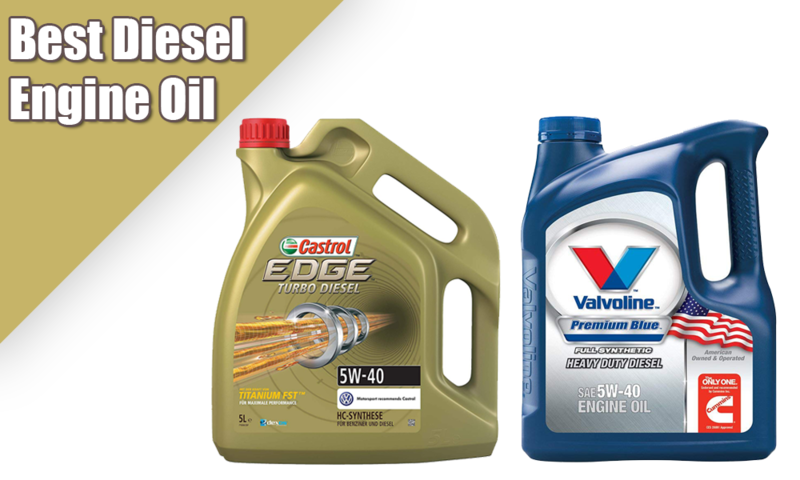 Diesel engine oil is the lubricant vital for the engine’s lubrication system. It is feed to the pump from the sump then through a strainer. 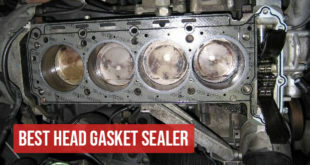 It is then pulled through the oil filter and goes through the main bearing and oil pressure gauge before it passes the rotating crankshaft and onto the connecting rod. The bearings of the piston-pin and the cylinder wall will then get lubricated. Because of the nature of gravity, the oil is pulled back down to the bottom of the motor back to its origin, the sum — and so the cycle repeats. Just think for a while, what would happen if there is no diesel oil applying appropriate pressure to these engine parts? Your eardrum is not only bound to those screeching pierce of metal pistons and dry cylinder, but the metal-to-metal contact produces an aggressive friction that expedites to the premature wear and heat-up of the engine. Suffice to say, it is critical to the well-being of your vehicle parts, it ensures a smoother glide of the engine components while protecting it against wear. 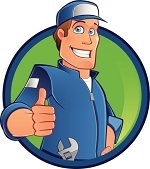 Few terms might come up when you are trying to look for that right engine oil for your car. The terminology used to describe them are often bewildering as the engines that powered them. In the light of these confusing terms, let’s break through the clutter. Diesel engine oil is sometimes interchangeably referred to as the ‘diesel oil’ and sometimes the ‘motor oil‘ or diesel fuel’ for that matter. When it’s time to do the oil change, make sure that it is NOT the fuel oil which powers your vehicle that you are changing. Rather, it should be the oil that lubricates the engine. The ‘lube job’ which can be another recommendation for lubrication of the vehicle’s moving parts is another story. It doesn’t have something to do with the lubrication of the engine nor with the oil change. Lube job is for the greasing of the steering and suspension system as well as the drive train. The diesel engine oil is also very similar to ‘gasoline engine oil’, another of its oil counterpart. In the broadest sense, they have the same makeup and anatomy; both are distilled from crude oil or petroleum and formulated with a range of additives that enhances their properties. The difference comes down to the amount and quality of the additives used in the making. As compared to gas, diesel has more additives added from every stage of its processing that explains its heavier density. Furthermore, diesel uses a higher engine anti-wear in the form of zinc dialkyl dithiophosphate (ZDDP). However, choosing between gas or diesel is not a preference but more of the consideration on the compatibility of the engine. Diesel oil changing requires the lubricating oil that is meant for engines run by diesel and gas for gas engines respectively. Mixing the two poses significant havoc to your engine. Gas contamination will lower diesel flash that causes the engine to prematurely ignite, leading to an overall damage to your engine components. On the other hand, using the right engine oil for your car would score an efficient and smoother run on the vehicle parts. It may have different formulation but they do share common features that make them effective and efficient. Certainly, you don’t want to settle for poor-quality oil so it is important to know what makes the best engine oil to feed your engine the quality oil it deserves and to get the most of the money you paid. Here are the selection parameters you need to consider. Diesel oil, in its nature, have varying activities according to temperature changes. As temperature decreases, molecules start to gel up and viscosity increases. In contrast, viscosity decreases and molecules stop flowing as temperature goes high. This is why viscosity improvers are added to the base oil to change the natural viscosity of the oil. Often, these compounds have molecule make-up that shortens when the temperature goes down and lengthen when the temperature increases. You have to pick the right diesel oil that can deliver optimum performance even under pressure, a criterion that is measured by the oil’s viscosity grade. For your consideration, the following are the two specifications of viscosity grade as determined by the Society of Automotive Engineers (SAE). Monograde Oils: This single grade type of engine oil can either fall into two categories; the ‘winter time’ grades (low-temperature viscosity) or the ‘summer time’ grades (high-temperature viscosity). These are all indicated on the packaging label of the oil product. The grades with a ‘w’ after them, (e.g. SAE Ow, 5w, 10w, 15w or 20w, 25w etc.) are winter grade oils that are an ideal preference for winter use or for cold starting because they have thinner molecules. The lower the preceding number, the higher the resistance in cold temperature settings which make a 5w grade suited for extreme cold weather conditions. On the other hand, summer time grades (e.g.SAE 20, 30, 40 or 50 etc.) are ideal for warmer settings. The higher the number, the more it is resistant to thinning. Multigrade Oils: A multigrade engine oil fulfills both summer and winter grade (e.g.5w-30, 10w-20, 15w-20 15w-40 etc.) It can survive different conditions such as being cranked up in a cold startup temps as low as -35° C, being able to provide a protective fluid film when subjected to a number of flow and temperature conditions, circulating bulk engine in temperature as high as 100° C, or being torn apart through ring belt area at temperature as high as 185° C.
While it’s easy to assume going for multigrade oil is the best option for an all year engine protection, there are also cases when monograde oil is very practical. Such as in the case of seasonal engines like those of lawn mowers. Or perhaps, for winter cold months or if you live in a stable cold environment, there is no need for paying both grades when winter grades are all you need. This being said, it is but important to consider the temperatures wherein your vehicle normally operates. Apart from the base oil and viscosity modifiers, they are also injected with additives which makes up 20 to 30 percent of the composition. Additives work to enhance and add useful properties to the oil.. 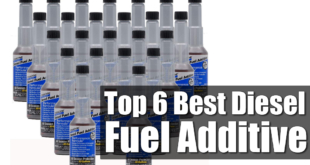 Your diesel should contain additives that have the following benefits. Cleaning Capability: Diesel oil is prone to contaminants and undesirable elements. It manifests through those sludge, buildups, and deposits on the fuel system. Detergent and dispersant additives, which are the most prevalent additive in diesel oil, cleanse and free up your engine from the grime. Other additives like the biocide target the bacteria and microbes that feed on the waste. Anti-wear Protection: Beside ZDDP, lubricity improver additives and corrosion inhibitors can add up to the engine wear protection ability of your diesel fuel oil. Performance Boosters: Certain additives can add power to your oil. An example of this is the cetane improver that enhances fuel combustion and stability improvers that lengthen the shelf life of the oil. Going for this kind of additives maximizes fuel consumption and yields toward miles per gallon (mpg) gains. This category measures the performance and quality level of the oil. In the United States, the oil’s quality is determined by the American Petroleum Institute (API). It is designated by the letter ‘C’ which can be followed by alphabet sequence from A-J with the letter ‘A’ as the lowest performance and ‘J’ as the most recent and highest level of performance. API has made it easier to find these high-performing oils. If the packaging has the API service ‘Donut’ symbol, it means that it has fulfilled the API’s specified requirements for engine oil quality marks. The API’s certification for ‘Starburst’, on the other hand, is given to diesel oils that met the latest International Lubricant Specification Advisory Committee (ILSAC) standards and is also part of API’s Engine Oil Licensing and Certification System (EOLCS). Oils that marked as such means it will provide your engine its needed protection while maximizing fuel economy. True enough, Castrol EDGE Extended Performance 5W-30 has the ‘edge’ among all other diesel engine oils, be it conventional or synthetic. The titanium liquid engineering alters the way oil behaves under extreme pressures whether its the freezing or high-heat setting that we are talking about or amidst high driving speed, rest assured that the protective film won’t break down but rather will help your engine reach its peak performance. Now all you need to do is give this bad boy a try and see it for yourself!